Happy 1st Anniversary to SuGa Lifestyle! SuGa Lifestyle has kept readers up to date for the past year on Restaurant Ratings and Reviews, Recipes, Health and Fitness, GW ART, Charities and What’s Hot, for instance with popular Sports events or tournaments. Restaurant Reviews continuously proves to be the most popular posts amongst readers. Conceptualizer, Gabrielle Williams has traveled across the United States, the Caribbean and as far as Japan, where the local cuisines and fine dining options are a must stop. On most weekends, regardless of which parish or country she may be in, she can be found satisfying her fancy of exploring the culinary talents on offer at the restaurant of her choice. Gabrielle also had the pleasure of being a Table Talk Observer Food Awards Judge for 2014. She will unhesitatingly give restaurants, chefs or caterers fair recognition for their good work, objectively highlighting those that have been inconsistent, mediocre or low in quality and by offering suggestions for general improvement. 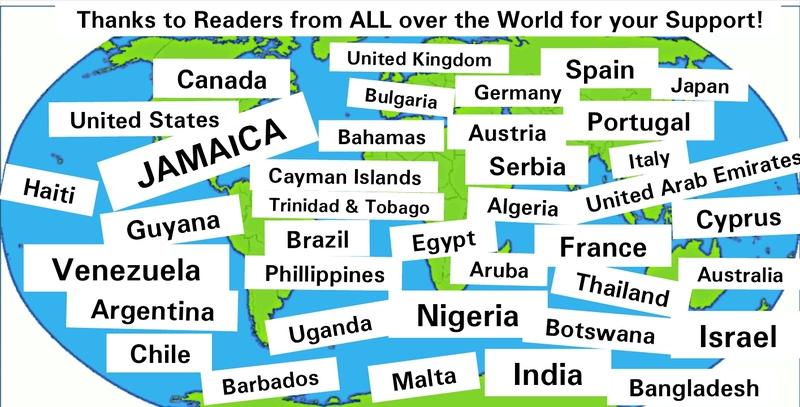 What is considered as a simple website with a slow start and hardly any promotion, has attracted over 7600 hits and readers each month from as far as Spain, Bulgaria, Israel, Italy, Malta, India, Algeria, Thailand and Uganda to name a few and sustains consistent readers from the USA, Canada, Barbados, UK, Cayman Islands, Brazil and ofcourse, Jamaica. SuGa Lifestyle is happy to receive the continued support and feedback from its readers, whether it’s from Facebook, WordPress, LinkedIn, Google Groups, Twitter, word of mouth or other sharing avenues and looks forward to being a part of the journey of Jamaica rising as a Foodies Paradise. Keep on reading SuGa and continue to make us the Go-to website to keep you in the know and aid in deciding on your dining destination. Thanks SuGa Readers! 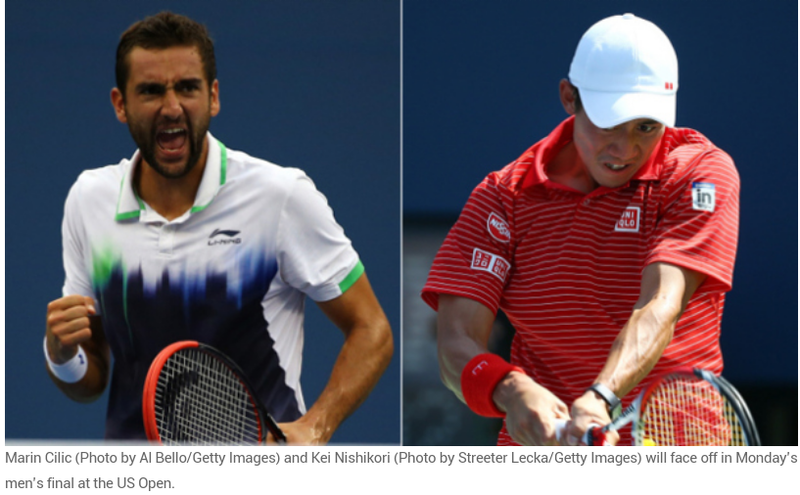 Cilic from Croatia and Nishikori from Japan will face each other in the US Open 2014 Men’s final at 5:00pm today. Neither of them are seeded in the top 10 and they are both looking to win their 1st Grand Slam Singles Title. Who will win and what are the odds? 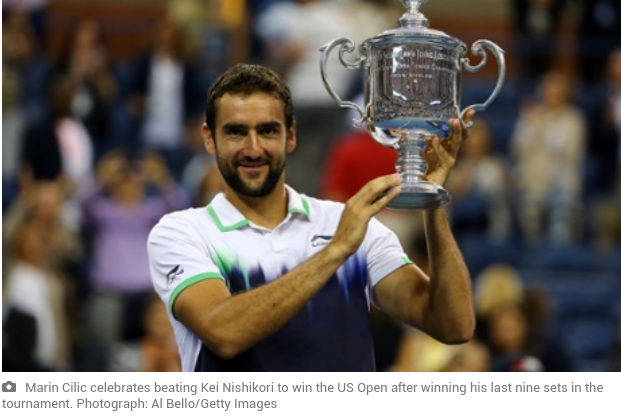 SuGa puts its money on Cilic.